Physical activity isn’t just exercise – it is any way you move your body using energy. Dancing, walking, and gardening are all fun examples of physical activity. The most important intensities of physical activity for health are moderate and vigorous – both of these make your heart and breathing faster. Moderate physical activity includes activities like brisk walking, gardening, dancing, casual biking, golfing, and casual swimming. Vigorous activity includes: very fast walking, jogging, biking quickly, intense yard work, swimming laps, and competitive sports. Vigorous activity can be done in less time that moderate physical activity with similar health benefits. Another important thing to consider is the type of exercise you are doing. Aerobic, muscle-strengthening, bone strengthening, balance, and stretching activities all benefit your health in different ways. Aerobic activities like jumping rope and swimming make your heart and breathing faster – so they are great for your heart and lungs. Muscle strengthening activities like doing push-ups or lifting heavy objects make your muscles work and grow. Bone-strengthening activities like jumping and running make your bones stronger. Balance and stretching activities like yoga and dancing keep you stable and keep you limber. As you can see, there are a lot of types of physical activity – but many activities fall into more than one of these categories. Check with your doctor before changing your current physical activity routine! It is important to make sure any changes are safe and will benefit your health. Get 2 ½ hours of moderate or 1 ¼ hours of intense aerobic physical activity every week. More than 5 hours gives even more health benefits. Sometimes it can feel like there is no time in the day to fit in physical activity, but there are plenty of ways to incorporate physical activity into your busy schedule. If you work sitting down, get up every hour and briskly walk for a minute or two. Take a short, brisk walk during your lunch break after eating. Choose family activities that involve activity – like swimming, walking the dog (if you have one) and biking. Wake up 15 or 30 minutes earlier and use that time to start your day with a walk. You can make up the lost sleep by going to bed a little earlier as well. Too tired to do physical activity? Physical activity isn’t always fun. Don’t have any equipment? No problem. Often, we think of gyms, equipment, and workout gear when we think of physical activity. But none of these things are really needed. Activities like push-ups, yoga, and dancing don’t require any equipment or gear! We are lucky in Georgia to have great weather (most of the time), and the outdoors is often more comfortable than a gym. Many parks have workout equipment built in… (Not sure if there is a resource to find it in your area). Want to learn to do new types of physical activities – but don’t where to start? The internet has a lot of free guides and videos to teach you how to get into new activities. There are also free apps like couch to 5k that guide your physical activity so that you can get into better shape slowly and comfortably. Trying new types of physical activity, like yoga, can be a fun family activity. Don’t worry about setting intense goals or competing with anyone. Physical activity is about keeping your own body healthy. 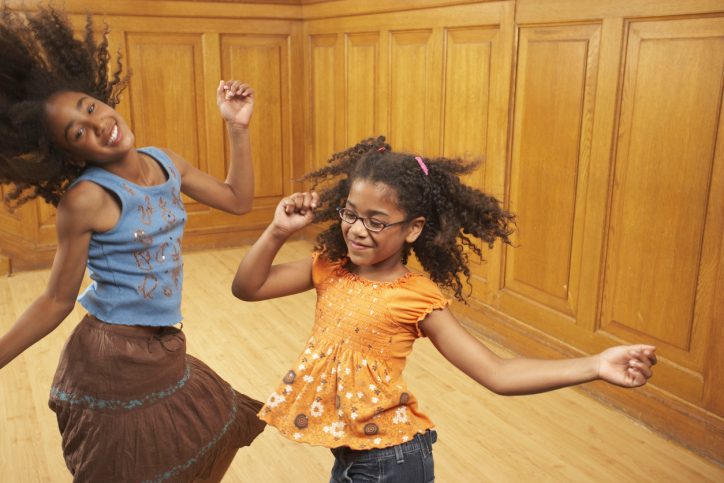 Non-competitive activities like dancing, walking, and gardening are all good forms of physical activity. Worried you will become injured? Talk to your doctor about what kinds of physical activity are appropriate for your condition. You might be able to do more than you think. One great benefit of physical activity is that it helps with weight management. Regular physical activity helps you maintain rather than gain weight, and can aid in weight loss by burning calories. Physical activity is a great way to socialize. By participating in a physical activity group, you can grow closer with your friends and meet new people. It is also a great way to bond with your family. Going for walks, playing games, or doing other activities together can be a fun way to spend time together. Physical activity keeps you well by decreasing the risk for many diseases like heart disease, type 2 diabetes, and obesity. Physical activity also keeps your muscles and bones strong, which is important as you get older. Participating in physical activity causes a release of “feel-good” chemicals called endorphins in the body. These can make you feel happier and more relaxed. And by getting your body into better shape, you will feel more energized throughout the day. Tasks that before were winding (like walking quickly) can become much easier. Another way exercise gives you more energy is by helping you sleep better at night. The same amount of sleep can be much more satisfying after a day with plenty of physical activity. Find a jungle gym – most parks have jungle-gyms where kids can climb, swing, slide, and run. Start a garden – flower seeds are inexpensive and many are easy to grow (zinnia, marigold, sunflower) and many herbs (basil) and veggies (cucumbers, green onion, green beans) are easy as well. Growing a veggie garden gives you the added benefits of saving money and increasing vegetable intake. Encourage involvement in other forms of exercise – not all children enjoy organized sports. Many children will enjoy other activities like dancing, skateboarding, or martial arts. Walk Georgia is a free online community and resource made to help Georgians become more active. The site allows you to track activity and become more active. Walk Georgia also has a blog with an optional newsletter to keep you informed.